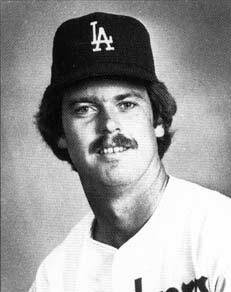 Rick Sutcliffe used to play baseball. Dude must be qualified to talk and write about baseball. His experience, I'm told by countless player-turned-broadcaster defenders, is what makes his presence valuable, and his opinion worthwhile. Getting Beckett was a huge move by the Red Sox, because they now have two pitchers on their staff who are throwing the ball really well. So the reason that getting Beckett was a huge move for the Sox had nothing to do with how much they gave up for what they got; it had nothing to do with Beckett potentially being undervalued because of injury scares; or why Beckett might be tailored to pitch in Fenway Park (not saying he is). The reason the Beckett trade was a "huge move" is because now, in May of the following year, they have two pitchers who are throwing the ball really well. Not only is this crazy, it is also wrong. Say what you want about how totally uninspiring Papelbon sounds every time he talks -- he's "throwing the ball" as well as anyone right now. So that's three. (Sutcliffe was talking about Beckett and Schilling.) Curt Schilling, it should be noted, was not throwing the ball really well at all when the trade was made. The one thing that will be different for Beckett when he starts for the Red Sox on Tuesday against Randy Johnson and the Yankees is that he'll be facing the best lineup -- on paper -- I have ever seen. Better even than the lineup the exact same team had 10 days ago when Gary Sheffield was hitting instead of Melky Cabrera? I got to the big leagues in 1976 and faced the Big Red Machine, and I've faced the Yankees in the past. I've faced great lineups, but on paper, there has never been one like what New York has right now. Except for the one they had 10 days ago, which was better. You know what? I'm sorry -- I forgot that Rick Sutcliffe has experience playing baseball. So there's no way he overlooked the Sheffield injury. He must know something about Melky Cabrera. I keep forgetting: this guy got to the big leagues in 1976! I truly laugh when people talk about what a bad year [Randy Johnson] had in 2005 when he was 17-8 and 5-0 against the Red Sox. How is that an off year? Again -- the guy played baseball. So I guess I have to forget that the Yankees offense last year was a ridiculous juggernaut, and that pitching wins are heavily dependant on run support. I should throw out the window the fact that Johnson's ERA+ was 117, his second lowest in his last thirteen years. Forget that he allowed the most number of hits and earned runs in his entire career. Tuesday's game is important, because one game can mean a lot, just like it did last year. Guys. Listen to the former baseball player. This game is important because one game can mean a lot. Meaning every game can mean a lot. Meaning every game is important, meaning this one is important, but not necessarily more important than the other ones, since each has been deemed by Sutcliffe to own what we must assume is the same amount of "meaningness potential." Just like it did last year, guys. Think about that. So yeah: the two pitchers who are throwing really well are Schilling and Papelbon.